By nature I am a recluse and a rebel but voicing my opinion comes strongly to me. 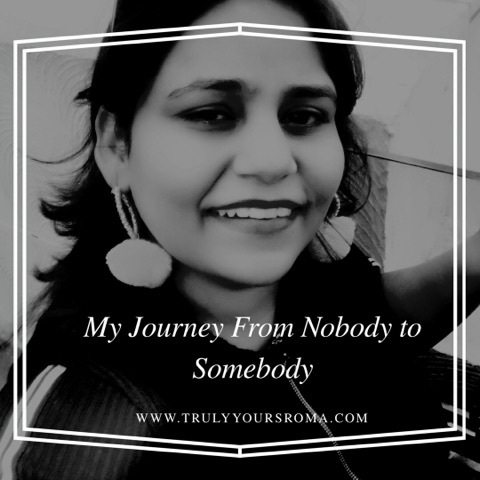 Routine and mediocrity subjects me to boredom and while I challenge myself to new goals always to keep the zeal alive, at any point of time, I have to speak my mind which I blatantly do on my blog ~ Truly Yours Roma. 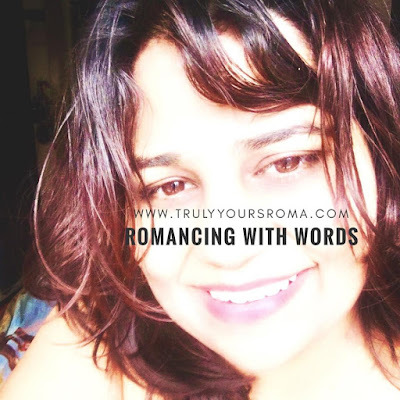 Yes, the very space that you are reading now and because I love speaking about everything under the sun, it is a diverse multi-niche blog. Three years ago, when I began this enriching journey professionally, every one recommended that I should carve out my identity in a particular niche because that gives a more dedicated readership and multiple awards but the rebel in me did quite the otherwise, like always. Phew! This was because I primarily wrote to satiate my own heart and that's why my writings resonated with your hearts too. Their were always quite a few straight from the heart musings to touch and tinkle umpteen hearts and stay in them forever which I penned with a lot of love. I am so glad you received the same with equal love too and that's when our eternal love affair began irrespective on what subject our hearts chose to connect. The result though was far beyond my imagination! 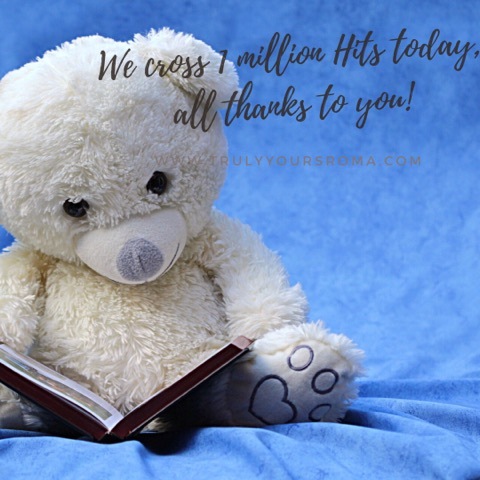 Thus, today I reach the coveted milestone of crossing 1 million footprints (page views) on my blog and this is truly gratifying. Thank you so much my friends, fellow bloggers and my precious readers. There can't be a better advance birthday gift you would have given me and all the words of the universe put together will fail me to express my gratitude to you. Thank you for stopping by, reading me, appreciating me and keeping me on my toes to serve you nothing less than the best. Your vehement support has already made me an author of two published books again in two diametrically opposite genres- non fiction and fiction. It's you who made me the Woman of the Year 2015. 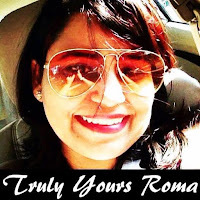 You have made Truly Yours Roma adorn with multiple Pan India writing contests wins. So it's absolutely you whom I owe all my writing credentials. Thank you for making me a somebody who matters to you from nobody. Thanks for pushing me hard when I shared my passion for starting my own Communication Skills Academy and making my dream come true. Thank you for embracing Truly Yours Roma with open arms and showering buckets of your love uninterrupted on me. I am nothing sans your support. I owe my heart to all of you so here I take a bow. A billion thanks guys! Hola my precious readers, last week I bared my heart to you about my long cherished dream of starting my own communication skills academy and yes I did start it and my Almighty's grace all the three adult and kiddies batches are running good and the appreciation and adulation I am receiving is running in my blood making me leave no stone unturned to bring nothing less than the best to them. The infrastructure I have chosen for the same is the warmth and calmness of my home sweet home so that I can appease my heart's desire to groom them in a fun away and the not in the monotonous four walls of a routine classroom and I am redoing my home for the same. I have an ardent desire to give the kiddies and the adults who come to me nothing short of the best of course including serene fresh air free of any microorganisms who spread infections and grooming which lasts for a lifetime. But I see quite a few of them cough and often their allergies are triggered which makes them miss classes and this not only breaks the wonderful continuity of their learning with me but also of their lives. Well the reasons could have been several including the bus ride they took to school, their school premises or their own respective or my home. I decided to dig further and a thorough research revealed much to my disbelief that the inside our home sweet home air, that we breathe can be 5X more polluted than outdoor air. Not only that the paint on our walls and even on Furniture emanates a lot of toxicities in our immediate environment. Often not ventilating our homes can be disastrous as well and many microbes stay hidden in our carpets and sofas or mattresses too. Kitchen is another damp place most prone to invite these hellions.This thing was so much on my mind that when hubby dear's Favorite actress Deepika Padukone spoke about this in the T.V. Commercial that night, I laughed my heart out assuming I have been hallucinating but later I realised she gave my thoughts the most desired and vital direction. Thus first things came first. So most meticulously I sat down to chop out my detailed plan of action for the same. 1. I drove to purchase some plants like Aloevera and Bamboo which help to purify indoor air and lay them aesthetically in my house. 2. I ventilated my home and ensured are entries are perfectly dusted. 3. Mattresses, Sofa, carpets, I created a weekly schedule to vacuum clean them and sun them. 4. Cleanliness of Kitchen beyond doubt was my top priority including the hidden crevices and dishwasher, the burners and the chimneys. But that's not it, this was only an interim action plan. I had already laid my eyes on Asian Paints latest innovation ~ their scientifically designed Royale Atmos Paint which goes a long way in purifying our indoor air. It absorbs the harmful pollutants and keeps the indoor air clean. Additionally it also absorbs various foul smells and maintains the freshness of the air. 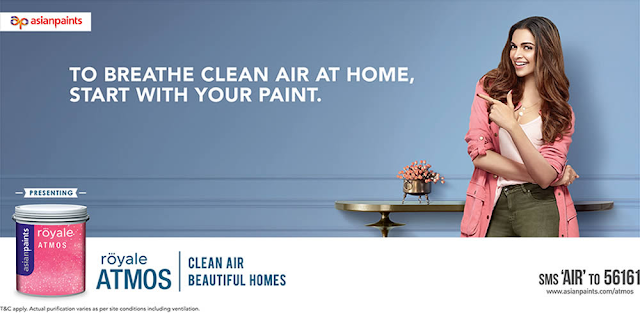 I was impressed by acquainting myself with a paint which not only makes my dream home look beautiful but also rids it of all the pollutants and makes it a safe and serene abode. It helps me securing the health of my students too. Thus this Diwali, I am repaint my world the Royale Atmos Way and even recommend it to all the people with whom I interact every day for what's more precious than our health and help them experience this magic too. 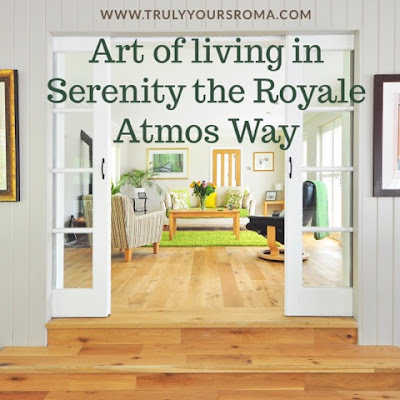 Life indeed shall be most beautiful when we embrace the art of living in serenity the Royale Atmos Way. But you may ask why only Royale Atmos, what makes it so magical. Well here's an answer. 1) Formaldehyde one of the worse indoor pollutant is annihilated by Royal Atmos when it's molecules hit the wall painted in this scientifically designed and tested amazing product. 2) Its revolutionary activated carbon technology aids in purifying indoor air. 3) It absorbs malodours and thus accentuates the good quality of air. 4) And the icing on the cake is it emanates fragrance. All the above has been validated by exhaustive testing at third party. 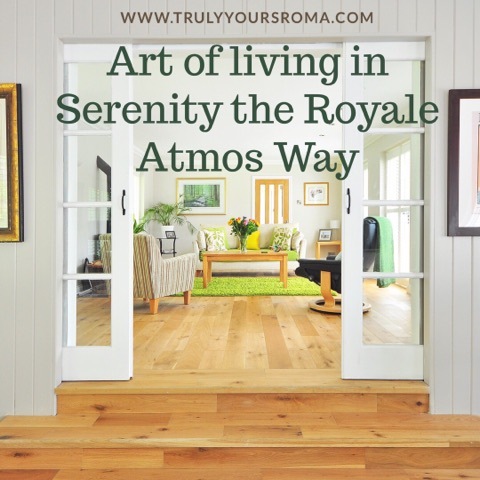 Will you believe Royal Atmos is capable of absorbing 80-85% formaldehyde within a span of 24 hrs under standard testing conditions. Not only that this paint will keep absorbing formaldehyde for two years post its application. Dwelling into it's other aspects, brought forth many more worthy features of this exquisite paint. Not only it's rich matt finish imparts our walls a perfect look but also its green assure ensures it is VOC Safer and environment friendlier. It is further equipped with Teflon surface protector which makes it impressively stains and scratch resistance. No wonder it's an ideal rather an indispensable choice for each one of us in today's times. Going by its sheer advantages, I totally vouch for this product! Do You?? Check it out!